Like we said, the Crysta is a complete departure from the older Innova. Everything has been reworked extensively in order to give it that premium appeal. The design is fresh that ditches the slender proportions for a wider, more muscular stance. It is safe to say that the older generation was long in the tooth in terms of design, despite multiple facelifts. Toyota couldn’t have timed the update better. The front now features a prominent hexagonal grille that gets two massive chrome slats that flow into the projector headlamps. Most of the real estate at the front is taken up by the large bumper. We particularly like the detailing in the smoked-out headlamps and the placement of the LED pilot lamps. The lower half of the grille is glossy black, which helps break the bulk at the front. The premium feel of the Innova Crysta is also in the way it drives. Though this vehicle has a ladder frame (subframe) chassis, it feels very comfortable. The ride remains composed and passes on minimal undulations of the road. The new chassis is even more stronger now. An improved suspension sees the ride quality improve a lot over the earlier vehicle, there is much less pitching and rolling now. Hence it is ideal for long distance travel. At slow speed you can feel some thuds inside, but higher speeds its good. The steering wheel feel a bit heavy at parking speed. But as speeds rise, it gets better and a joy to hold and drive. The brakes are also very good and a progressive. The all round visibility of the New Toyota Innova Crysta 2017 is excellent and one drives in a commanding portion. The Innova Crysta is also a great vehicle to drive within the city. It has a tight turning radius hence taking sharp U-turns is a breeze. Even parking poses no problem. Toyota has upped the game in the safety department as well. The Japanese automaker is providing seven airbags with the new Innova including a driver-side knee airbag for the range topping ZX variant. Dual front airbags and ABS is standard across all the variants. There is Vehicle Stability Control and Hill-Start Assist Control on offer as well. Toyota is providing 3-point seatbelts with adjustable headrests for all the passengers including third row seats. The Toyota badge is known to offer hassle-free after sales in India with a wide reach and network spread across the country. Longevity is tried and tested while the resale value of Toyota cars is up there as well. We expect low maintenance and spare parts cost due to high localisation (the diesel engines will soon be made in India). The confidence Toyota has in its MPV product is quite similar to how the buyer perceives the vehicle to be; simply commendable. We saw it when Toyota pulled the plug on the Qualis when it was absolutely flourishing in our market. 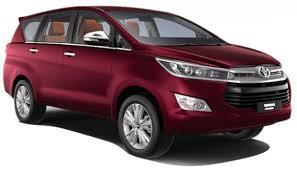 Then came the Innova and it ultimately caught up and even outsold its predecessor. Buyers still swear over its bullet-proof reliability and they’re ready to part with even Rs 18 lakh (ex-showroom Mumbai) for the top-end versions. While in the latest iteration, the Innova Crysta, is a substantial improvement over the old Innova’s strengths, it will come at a premium. Especially, as it now ticks all the boxes to contend in the higher end of the MPV segment. And we believe that buyers will just carry on and pile on the bookings.